The two-year project covered four sectors of maritime activities: fishery, shipping, environment and energy. New methods were developed to gather information and develop planning evidence. The project reached its aim and increased the collaboration between the countries involved. The findings we made in Baltic SCOPE are available below. 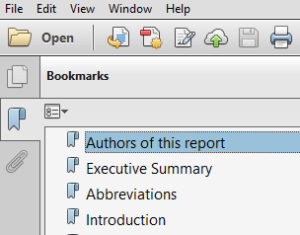 Read reports using Flip Book option or download a pdf file by clicking on the title. The Baltic Sea is among the busiest seas in the world. At the same time, its ecosystem is unique and faces serious challenges. Baltic SCOPE was a project on Maritime Spatial Planning of this sea. Baltic SCOPE was designed to increase collaboration and coordination between national authorities and other key stakeholders, in order to develop common approaches to solve transboundary issues and enhance the alignment of national maritime spatial plans in the Baltic Sea region. Baltic SCOPE was a unique cooperation, a learning-by-doing exercise, as the national planning was taking place while the project was running, at the same time uniting planning authorities around the Baltic Sea. When we started, there was no common platform for actual planning and for informally exchanging related information. So we created that platform. We worked as a team between member states, exchanging experiences, tackling the challenges of the complicated Maritime Spatial Planning here. We asked what was needed to achieve successful cross-border cooperation, and where potential barriers lay, and came up with solutions. The project was divided in two case study areas to handle regional differences: the Central Baltic and Southwest Baltic case studies. The Central Baltic case covered the marine areas shared by Estonia, Latvia and Sweden. The Southwest Baltic case covered the marine areas shared with Germany, Denmark, Sweden and Poland. The two-year project covered four sectors of maritime activities: fishery, shipping, environment and energy. New methods were developed to gather information and develop planning evidence. The project reached its aim and increased the collaboration between the countries involved. The findings we made in Baltic SCOPE can benefit the Baltic Sea, now and in the future. To achieve goals in establishing collaboration in different fields between states, we developed recommendations on Maritime Spatial Planning across borders. The recommendations are useful to planners, policy-makers and others dealing with Maritime Spatial Planning in the Baltic Sea, and possibly beyond. They are based on our joint experience, and the problems and needs that we explored whilst working together towards coherence and cross-border solutions. This work created bonds not only between spatial planners in our countries but also between sector experts. The recommendations cover four aspects and four sectors. The aspects are transboundary co-operation, processes, planning evidence and stakeholders and platforms. The sectors include shipping, fisheries, energy and environment. The sector recommendations were formulated based on input from ministries and agencies responsible for shipping, fisheries, energy and environment. For each recommendation, there is a named target group such as policy-makers and planning authorities. The recommendations on transboundary collaboration emphasize teamwork, a pan-Baltic approach and bilateral issues. In processes it is important to increase participants’ understanding of issues promoting successful implementation of Maritime Spatial Planning. Recommendations on planning evidence suggest applying common criteria and approaches. On the stakeholders and platforms level the recommendations focus on co-operation and suggest establishing a permanent forum for networking. Sectoral recommendations focus mainly on collaboration and finding common views. For example, in energy issues the report suggests developing a long-term pan-Baltic picture on renewable offshore energy. The Baltic SCOPE project was unique – it was the first project to bring together national authorities with a planning mandate to collaborate in transboundary Maritime Spatial Planning, with the aim of identifying cross-border issues and solutions. As with any pioneering activity, we found a need to adapt to changing circumstances and situations along the way, but we learned considerable lessons from this fluid process. Our lessons can be taken forward to future collaborations in transboundary Maritime Spatial Planning. The lessons might primarily be useful to policymakers, planners and other key stakeholders in Maritime Spatial Planning, in the Baltic Sea and possibly beyond. 1. Create a more permanent transboundary framework that promotes interaction and discussion amongst key stakeholders – it’s essential. 2. Involve stakeholder early, because their knowledge is crucial. Transboundary Maritime Spatial Planning is complex. 3. Identify sea uses plus conflict and synergy areas. We used a matrix of interest, table of conflict and synergies, and structured dialogue meetings. 4. Get areawide planning evidence. Reliable, comparable and up-to-date knowledge on marine uses, values, and future trends is vital. 5. Find ways to find solutions. When we needed to focus we had bi-lateral talks. When we as planners couldn’t go further, we produced suggestions to put forward to higher authorities. 6. Implement an ecosystem approach. We made three checklists to translate theory into practice. 7. Take a case by case approach. Adapt to the context. It seems to be the most effective way to develop cross-border collaboration in Maritime Spatial Planning. The Southwest Baltic Sea is a complex area. Intensively used, with narrow straits, and millions of people. It covers territorial waters and Exclusive Economic Zones of Germany, Denmark, Sweden and Poland. In our final report we highlight the main tools and methods developed by us, the planners, in our attempt to identify and solve key transboundary issues. The tools and methods include topic papers, a matrix of cross-sectoral interests, and bi-lateral meetings. We shared information on four sectors: shipping, fisheries, environment and energy. In order to address concrete planning issues, discussions were narrowed down to six smaller transboundary focus-areas. Issues of pan-Baltic relevance were also discussed, such as the ecosystem approach, joint fisheries and green infrastructure maps and shipping safety zones. Our conclusions and results range from individual learning to identifying structural barriers and recognizing that sectoral actors focus on their own needs instead of a holistic approach. Few sensitive issues were elevated to a higher political level, demonstrating the limit of the planners’ mandate. Despite the challenges, we succeeded in developing common understanding and data sources, ecosystem approach checklists and both policy and planning recommendations. The Central Baltic Sea has its challenges. The sensitive marine environment is under pressure. Traditional uses at sea, such as shipping and fisheries, are facing competition by uses such as energy, extraction and tourism. All countries have different approaches to Maritime Spatial Planning, and are at different stages in planning too. As planners, we confronted these challenges with joint efforts. We used different methods, which varied from thematic meetings with stakeholders to topic papers and common maps. We focused on four main sectors, namely fisheries, energy, shipping and environment and the territorial waters and Exclusive Economic Zones between Estonia, Latvia, and Sweden. We managed to establish a common understanding of developments in important marine use sectors and to formulate recommendations for future work. This achievement is significant, because for the first time, sectoral development and mapping issues were discussed in detail among experts and planners of neighbouring countries. The report is written by planners, for planners. To make it easier to use the ecosystem approach in Maritime Spatial Planning we made a toolbox. The toolbox contains three checklists. 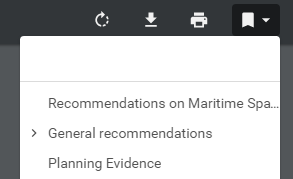 These checklists are useful for authorities and others involved in Maritime Spatial Planning. Our checklists help you to secure that the key elements of the ecosystem approach are included in your Maritime Spatial Planning. They can also inspire and help you to analyse the extent of common views. The ecosystem approach is a holistic approach, which can help one in what and how to achieve different goals regarding maritime activities. It is sometimes called the ecosystem-based approach. With its help, you can aim to not exceed the limits of the ecosystem while benefiting from it. Identification of the ecosystem services, precaution and adaptation are a few key elements of the ecosystem approach, and they are included in the checklist toolbox. The aim of our toolbox is to harmonise the understanding of what the ecosystem approach is, and how it can be used in Maritime Spatial Planning. Filling out the checklists ourselves, we saw to which extent we had common views between our six countries. We found that there could be more done on the transboundary dimensions, but also that there is a common view with similar approaches in all countries. If you want to know how to make maps like these, check out our report Mapping Maritime Activities within the SCOPE Planning Area. It explains the key steps to create shipping density maps, from raw data, cleaning and sorting by month, to making the actual maps. And the code is open source and will be available on GitHub. The report also includes some reflections on mapping fisheries and renewable energy, mainly wind power, in the Baltic Sea region. Spatial planners work in different contexts and have different objectives depending on which country is in question. That is something that became very clear during our collaboration. Therefore an evaluation framework has to be flexible, so that it can be adapted to different contexts. The evaluation framework we developed presents a set of criteria and indicators that can be used in future evaluations. It gives methodological guidance for evaluating Maritime Spatial Planning processes, with an emphasis on transboundary aspects. The framework could also be used for designing effective planning processes. Throughout our project, we tried to identify factors that influence the success of transboundary collaboration. For this purpose, material was collected through observations and interviews, material that was used developing the framework. Evaluation should foster learning. Learn more in our report. Time to get your hands dirty and put theory into practise! The report Development of a Maritime Spatial Plan: The Latvian Recipe is a draft for the maritime spatial plan for the Republic of Latvia. It describes the methodology used in it to include the internal and territorial waters and Exclusive Economic Zone in the Maritime Spatial Planning. During the process certain priorities took shape: four sector-based and two cross-cutting. The sectors were maritime transport, fishery, tourism and production of renewable energy, while the cross-cutting included environment and state security. In the Latvian Maritime Spatial Planning, the ecosystem based-approach was applied. The state of marine environment and ecosystem services were assessed and mapped. Existing sea uses and development trends were identified. Fish, algae, shipping, cables, tourism, land-sea interaction… Alternative scenarios developed, taking environmental impact assessment into consideration. The draft had some key considerations considering the use of the marine space: how to maintain traditional maritime use and at the same time preserve the ecological conditions at least at the current level. Make your own plan! Get the report The Development of a Maritime Spatial Plan: The Latvian Recipe.